A man impersonating a police officer sexually assaulted a woman in the back of his car on Interstate 35E on Thursday morning, Carrollton police said. 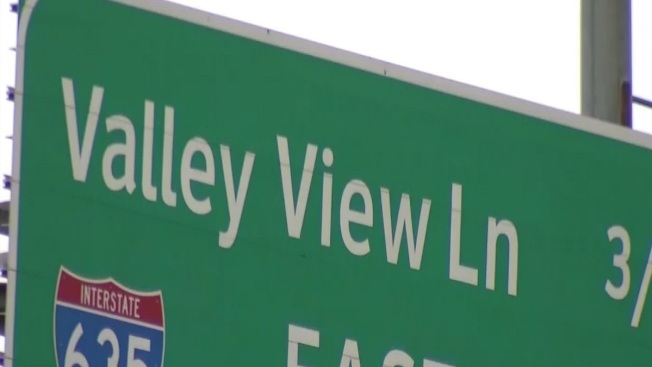 Carrollton police said a dark-colored, four-door vehicle with dark tinted windows and blue lights pulled over a female driver between the Valley View Lane and Valwood Parkway exits between 9 a.m. and 10 a.m. The man handcuffed and put her in the back of his vehicle, where he sexually assaulted her. He did not display a gun, police said. The vehicle, which may have been a Ford Crown Victoria, had blue lights on the interior of the windshield. The victim does not remember seeing lights on the outside of the vehicle, police said. The car had vinyl seats but no prisoner cage. The man is described as a white man in his 30s or 40s who is between 5 feet 5 inches and 5 feet 8 inches tall with a medium build. He has gray or white short hair and a dark-colored shorter beard. Police said the fake officer was wearing sunglasses, a dark-blue, long-sleeved uniform with no patches, a gold star-shaped badge, a gold name tag with numbers on it and a "police belt" with handcuffs and a baton with a handle, possibly a PR-24 style. The victim did not see a radio or gun on the belt. Carrollton police are asking drivers to be look out for the vehicle. Drivers who believe they are being pulled over by someone who may not be a police officer should call 911 and drive to a well-lit location before stopping, police said.